If you ever travel to Croatia you don't want to miss the opportunity to listen to the 230-foot organ strategically placed so that it uses the sea to create a hauntingly beautiful melody unlike anything you've ever heard before. The random yet somehow perfectly harmonized sounds are caused by the wind and water energy of the Adriatic Sea. Local architect Nikola Basic installed the stunning organ back in 2005. Known as a sea-organ or "morske orgulje" in Croatian, it is designed to look like a series of steps with perfectly placed holes for the water to enter and then channel into echoing chambers. As the water and wind exit the holes a mesmerizing sound is provoked, which sings through the highest steps. In other words, the organ is literally played by Mother Nature 24-hours a day. You can imagine how it sounds all you want, but there's nothing like hearing it with your own two ears, which is why we have included a video. 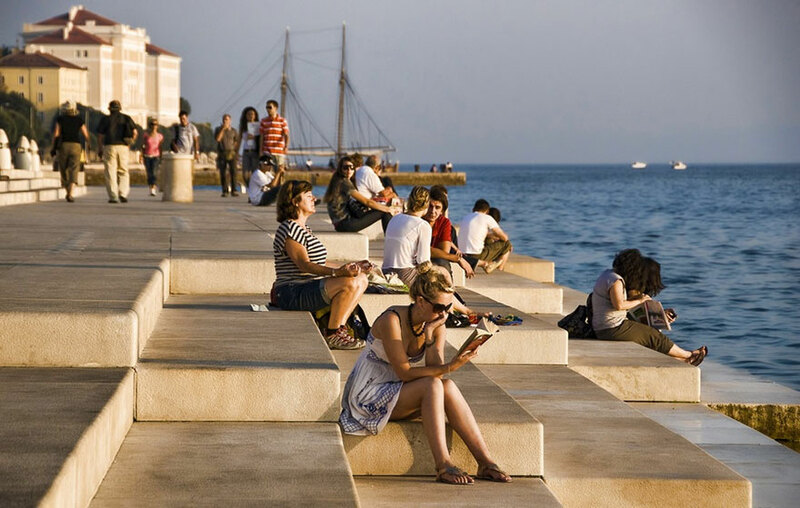 The addition of the organ has changed the Zadar area into a popular spot for locals and tourists to have lunch, watch the sunset, and just take a break from the day. 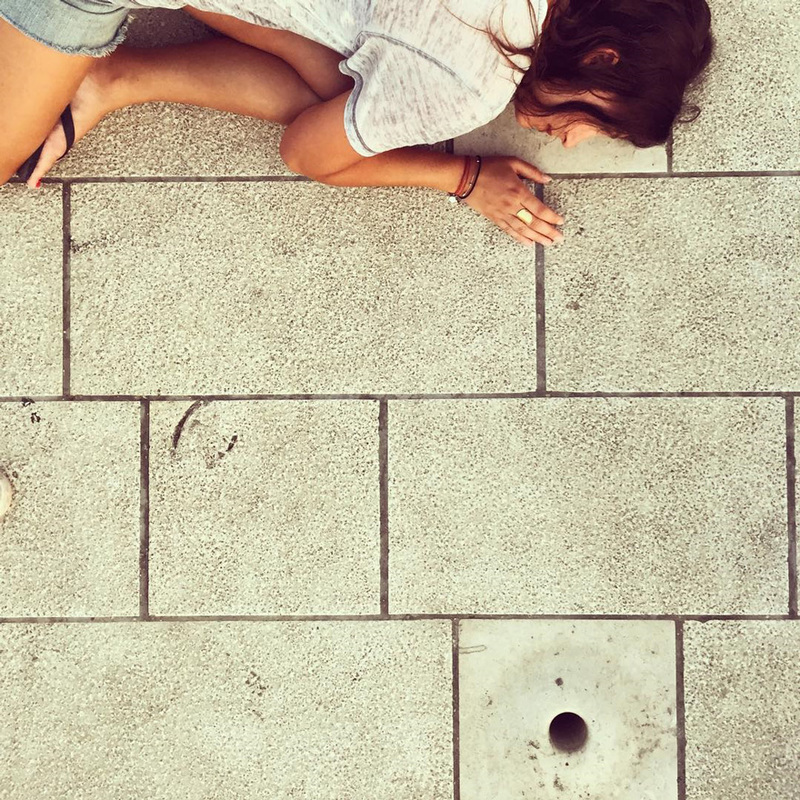 Zadar was completely destroyed during WWII and the restoration turned it into an ugly concrete abyss. While the concrete still remains, the installation of the sea organ has turned around the area, making it a far more peaceful place to visit. 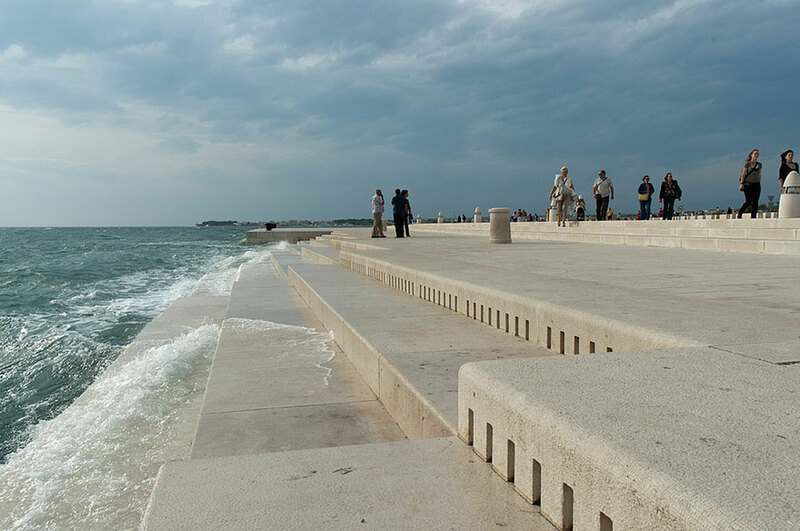 Have you had the chance to hear the sounds of Croatia's sea-organ in person? 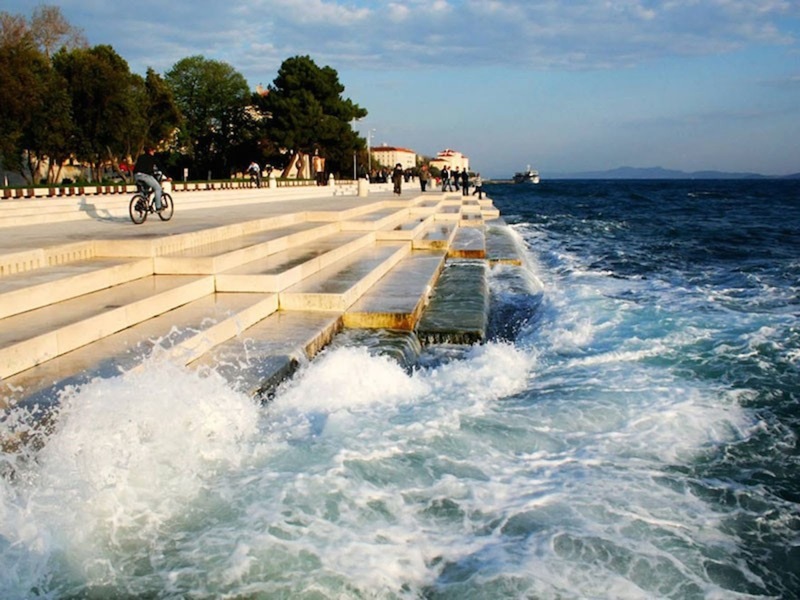 Will definitely love to visit this Croatia and this sea organ that makes beautiful music. After I visit the place, I'll write essay urgently and share it so other people would know and feel my own experience.